The space observatory ‘Kepler‘ launched by NASA to identify Earth-like planets in March 2009 has found just over 1700 planets to date. 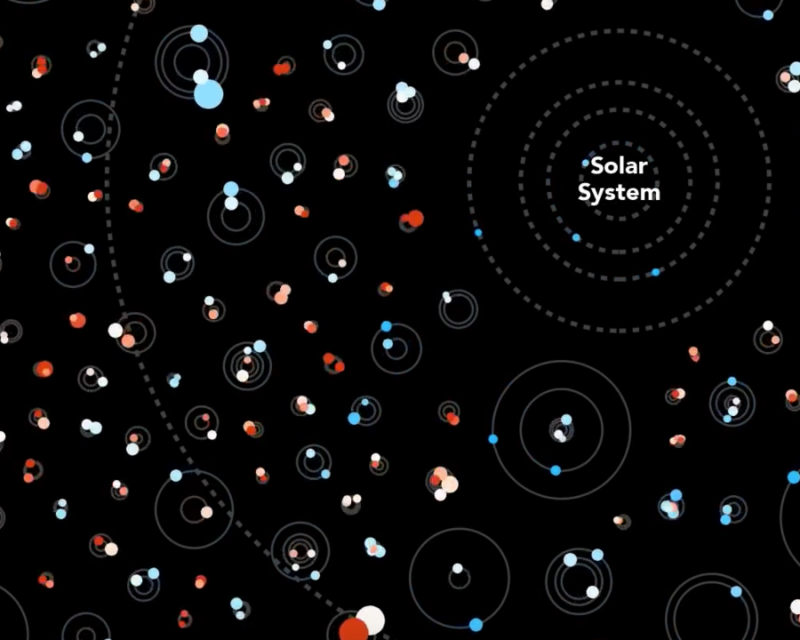 This to-scale animation shows those identified planets and their orbits in relation to our solar system. Pretty astonishing. The source code of the animation can also be found at GitHub. Source: Engadget and Critical Section.